During the recent transfer window, Anthony Modeste missed out on a move to Galatasaray. This means the footballer is still very much contracted to Tianjin Quanjian in the CSL. The player, however, is refusing to return to training with the club and the side have now lost patience with the Frenchman. As they have issued him with an ultimatum stating if he does not return to the club he will face legal action. This you imagine is a serious threat and one the 30-year-old should listen to if he wishes to continue his career. 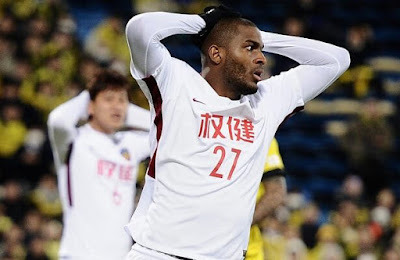 As it looks like it will be very hard for the player to move elsewhere currently with the Galatasaray president hinting signing Modeste would be highly risky from a legal perspective. Although stories this week suggested the Frenchman will be on his way to Turkey in January at the end of his contract and the CSL season. If the player wants to play between now and then he will have to kiss and make up with his current side.